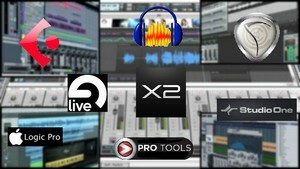 Music software allow us to record, edit, manipulate and mix in many different ways. The good old hardware equipment is now available as software, and the constant improvements in computers make software more and more effective, efficient and convenient. This doesn't always mean they are simple, unfortunately. But you can always learn! Here are a few software categories. There are more of course, but it's a first glimpse into the kind of software you are likely to come across and use to make music. D.A.W.s are the core of home studio configurations. 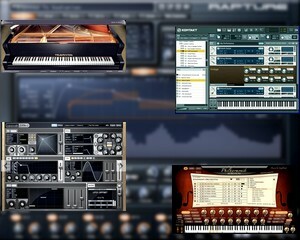 Virtual Instruments are numerous and varied: synthesizers, string and wind instruments, keyboards, drums... for all needs and tastes. 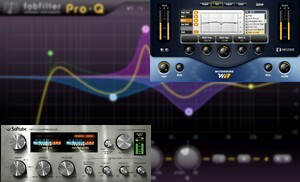 Reverberation, equalization, compression, delay, chorus... effects will help you master your sound.